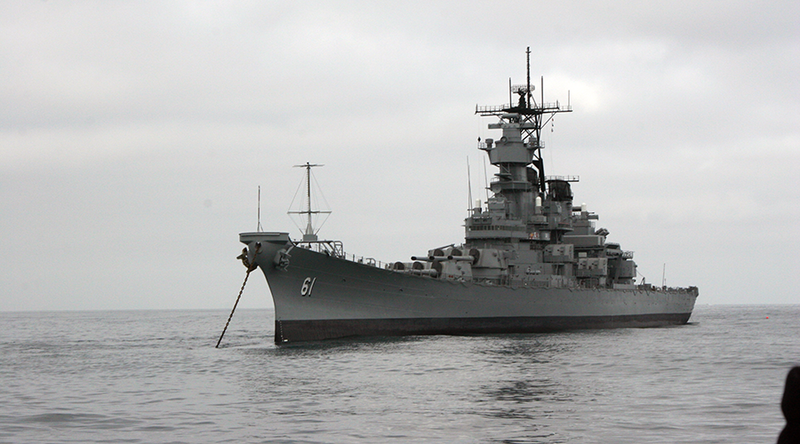 The USS Iowa (BB-61) is open to the public at Berth 87 located at 250 S.Harbor Blvd., San Pedro, CA 90731. Driving Directions to 250 S. Harbor Blvd. The USS Iowa is open daily from 10:00 AM to 5:00 PM except on Thanksgiving and Christmas with the last ticket sold at 4:00 PM. 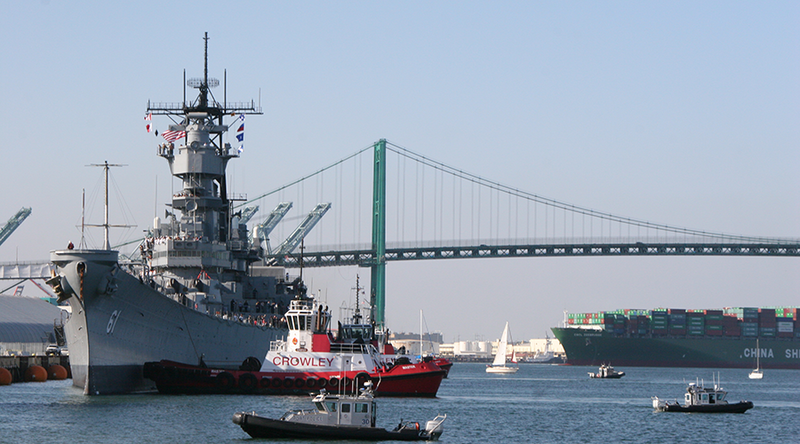 Owned and operated by the nonprofit Pacific Battleship Center (PBC), IOWA has become a popular destination at the L.A. Waterfront. 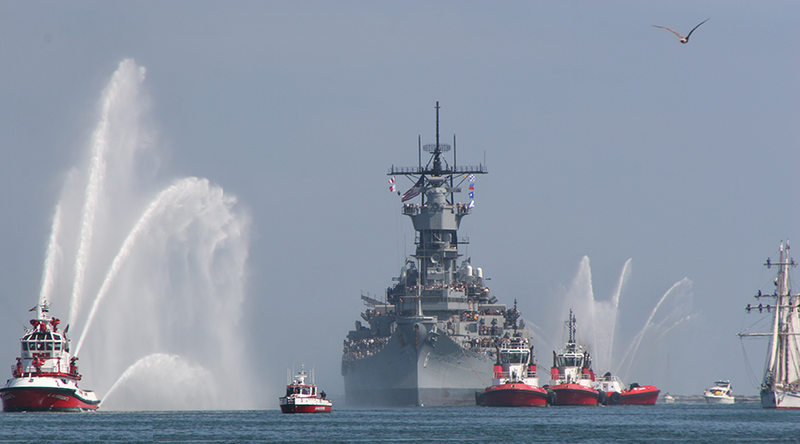 Dedicated to “Celebrating the American Spirit” through the preservation and interpretation of Battleship IOWA, the PBC’s goal is to share the accomplishments and sacrifices of American patriots and to engage visitors in unique and exciting ways that bring the ship to life by connecting the past with the future. Tickets can be purchased at the ship. At this time, the USS Iowa is not currently ADA or wheelchair accessible due to the basic design of the battleship. Uneven decking, steep narrow stairs, and high door frames on the USS Iowa are safety hazards. No wheelchairs are allowed aboard the battleship. Visitors using canes and walkers should use caution. Children are welcomed on board the USS Iowa. Due to many stairs and obstacles on board, strollers are prohibited on board the USS Iowa. For small children, the use of a Baby Bjorn type carrier (front type carrier) is highly suggested. There are stairs and obstacles on the tour. Children cannot be carried up stairs unless they are in a front-facing carrier . If they are not in a carrier and cannot climb the stairs safely on their own, then the child and a guardian must remain on the main deck of the ship. 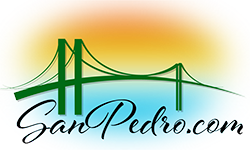 Parking is located at 1st St. and Harbor Blvd. 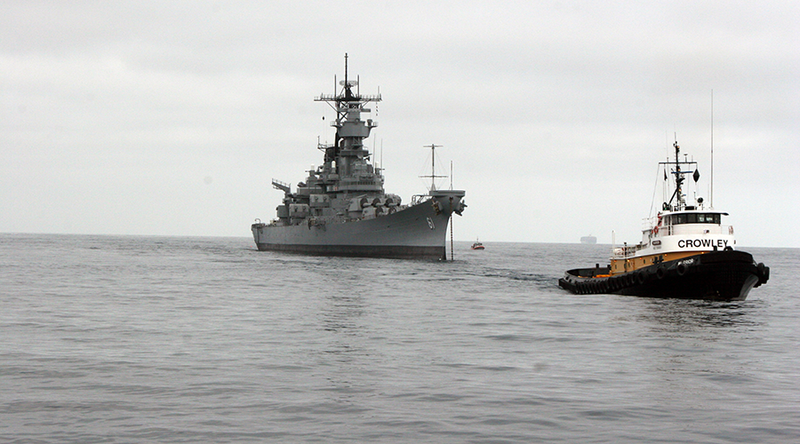 The USS Iowa (BB-61) is gently pushed to her permanent mooring at Berth 87 on Saturday, June 9, 2012. 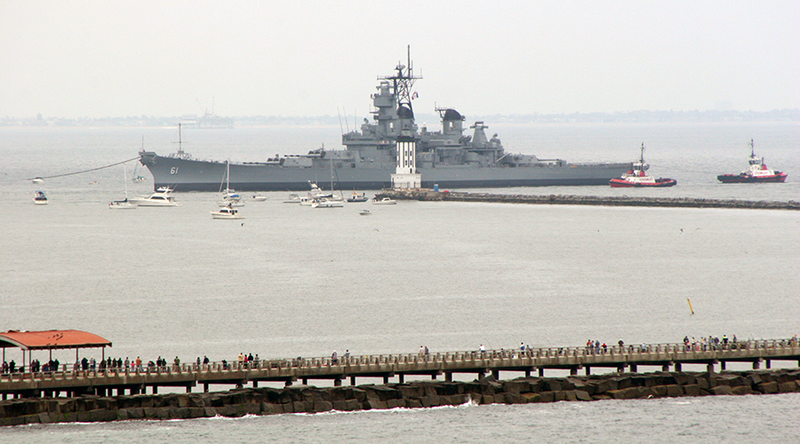 The USS Iowa (BB-61) is now open daily at Berth 87. – Welcome USS Iowa! 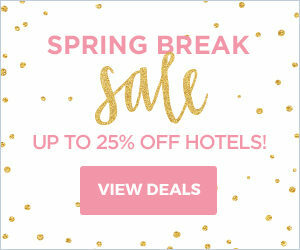 – Click photo to enlarge.